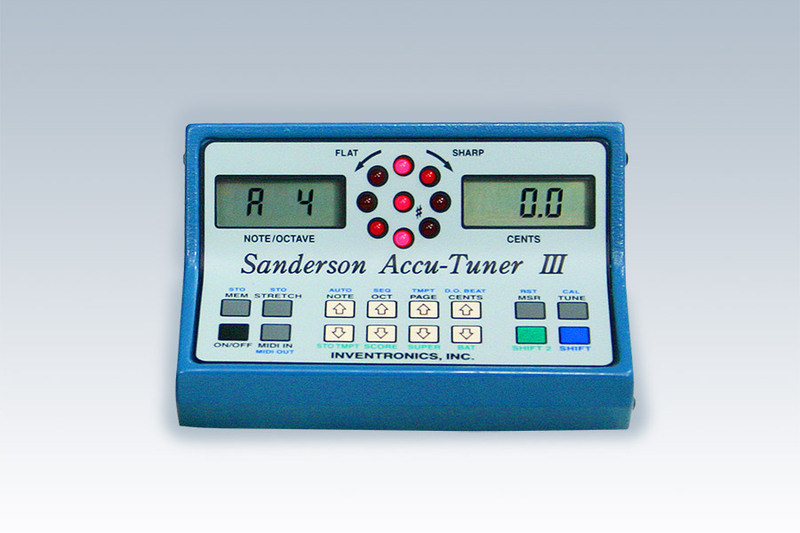 The Sanderson Accu-Tuner III , still available! 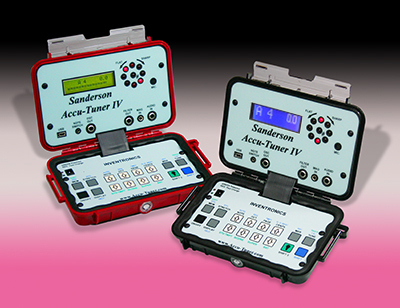 We have listened to piano tuners and have incorporated a lot of requests into the design of the Sanderson Accu-Tuner III. We are taking advantage of several new technologies to increase the accuracy, increase the ability of the filter circuit to reject noise, and in essence to increase the value and power for the piano technician. 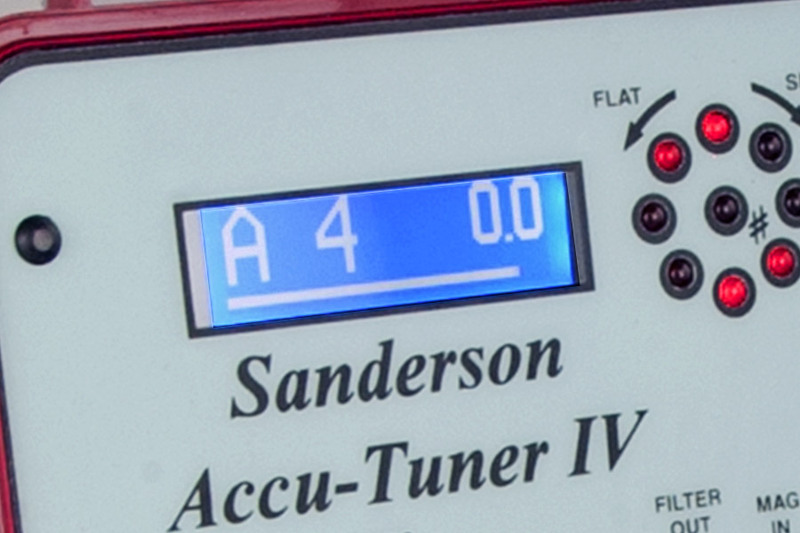 The Sanderson Accu-Tuner III (SAT III) is able to store an FAC tuning with any temperament and include a pitch offset, which makes it great for early music tunings or tuning a piano at its present pitch. The optional magnetic pickup makes it possible to tune in noisy environments where tuning would be impossible otherwise. 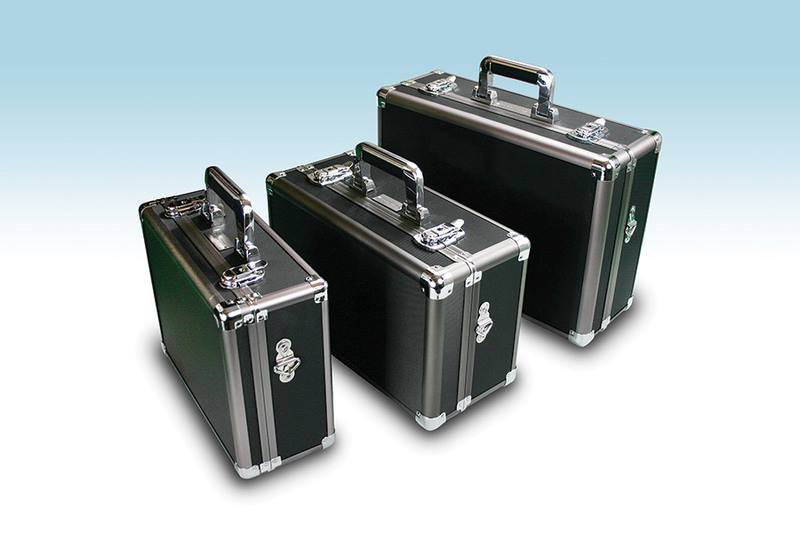 Other optional accessories: Aluminum Carrying Cases; Magnetic Pickup; Tuning Hammer Thumb Switch; and Instructional DVDs from Jim Coleman and George Defebaugh. FAC 88-Note Stretch Calculator sets note and cents for the entire piano automatically with just three measurements. The results will amaze you, and your customers. Rotating visual display with Light Emitting Diodes (LEDs) instantly shows tuning error to a resolution of ±0.05 cents while tuning. Store your own tunings, up to 198 complete individual piano tunings along with piano serial numbers for future use. FAC Stretch-Calculator tunings can be transferred to memory with a pitch change for tuning at pitch or raising the pitch halfway. Sealed Long-life Keyboard, offers hassle free operation. Foot pedal switch has ability to step up or down from note to note, or to store notes into memory. Measure an unknown pitch by pressing the MEASURE button. AC or battery operation with re-charger, plus automatic shutdown to conserve battery power. New recharging circuit charges the battery in less than two hours. With the SAT's 88-note FAC stretch calculator, you can measure the amount of stretch required for a particular piano, store three stretch numbers, and tune the entire piano without having to touch the SAT. Use the auto-stepping filter circuit to advance the note while the SAT automatically sets the partial and cents deviation. This allows the tuner to keep their hands on the piano key and on the hammer, speeding the work and reducing fatigue. The Accu-Tuner is priceless when tuning two or more pianos together: just tune both pianos to the same page in memory. The pianos don't need to be in the same room to create fantastic results! Students and new technicians can use the SAT as a visual aid and tutor for checking their work and accuracy. It will assist with: hammer technique, setting pins, and speeding up tuning quality. The PTG Tuning Exam scoring program assists with practicing for the PTG Tuning exam, and simplifies administering the exam.